Last December, a company by the name of Golden Spike announced it would launch commercial exploration missions to the Moon beginning in 2020. Today, they're having trouble drumming up public support in the form of a crowdsourced ad campaign. One of the latest in crop of newly announced space transport startups, the private group plans to charge $1.4-billion (or more) per lunar voyage, money that covers a there-and-back trip for two expeditious astronauts from any country willing and able to pony up the dough. But they've run into a bit of a problem. Recently Golden Spike started a crowdfunding campaign on Indiegogo with the goal of raising $240,000 for international outreach (that’s a dollar for every mile to the Moon!) but, with only 16 days left in the campaign, only $9,400 has been contributed. While dollar-for-mile that’s still farther than any humans have traveled into space since Apollo, it’s unfortunately quite short of their goal. “Simply put, we didn’t put the right people and resources on this Indiegogo campaign,” Stern wrote in an announcement on the Indiegogo site today, April 9. By giving the public a chance to directly fund these commercial space efforts, we hope to create a greater sense of public involvement in space exploration. But the money we want to raise is also meaningful and will help us start our business. In my world — the space world — it's often been said that if there are no bucks, there won't be any Buck Rogers. No doubt. But what I've now learned through my crowdfunding experience is that there is a corollary to that famous adage: You can't expect Star Trek unless you also make the effort to cultivate its Trekkies. "NASA will not take the lead on a human lunar mission," NASA chief Charles Bolden told SpacePolitics.com last week. "NASA is not going to the moon with a human as a primary project probably in my lifetime. And the reason is, we can only do so many things." So let's get real here. $9400 raised on a $240,000 fundraising campaign to send humans back to the Moon? Somehow "we didn’t put the right people and resources on this Indiegogo campaign" doesn't begin to describe the ridiculousness of this situation. We're having a hard time believing there aren't enough people out there excited about lunar missions to raise up more than $9,400 in startup capital – so what's the deal? 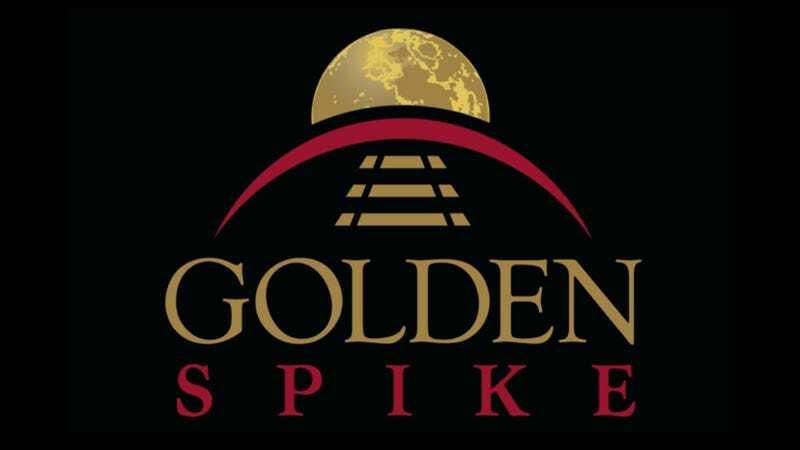 Did Golden Spike really drop the ball this badly? Do people doubt its mission, or its ability to deliver? Are they put off by the $1.4-billion+ price tag? Do they even know Golden Spike exists? Something tells us they don't – so we're doing our part to get the word out. Check out the company's Indie Gogo website and decide for yourself whether to chip or at least drum up support – if not for Golden Spike, then for somebody.